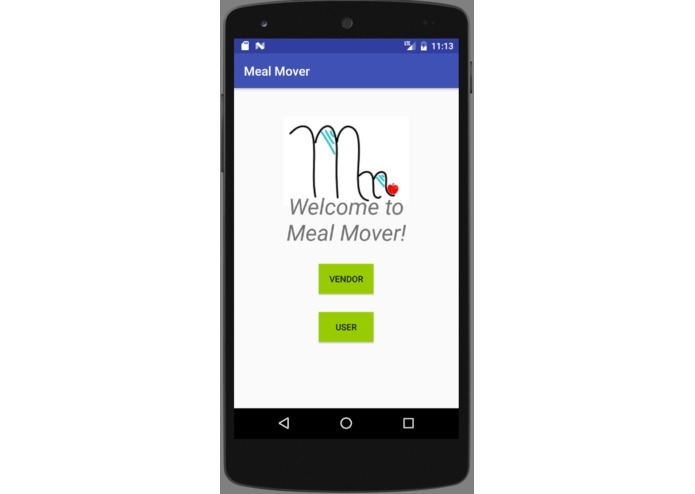 Meal Mover is an android app that allows users to direct those in need to vendors who have expired but edible food. User interface. The user can view and select food listings. Vendor interface/survey. The Vendor inputs their name, location, and amount of extra food they have. User map. After a food listing is selected a map is generated to show the location of the food. We realized that none of us would give physical money to those in need, either because we don't carry it around, or because we don't usually give money away to strangers. Yet, cities host thousands of homeless people, who may not have access to a stable source for food. Meal Mover allows vendors, like supermarkets and restaurants, to list their expired but edible food on our platform. 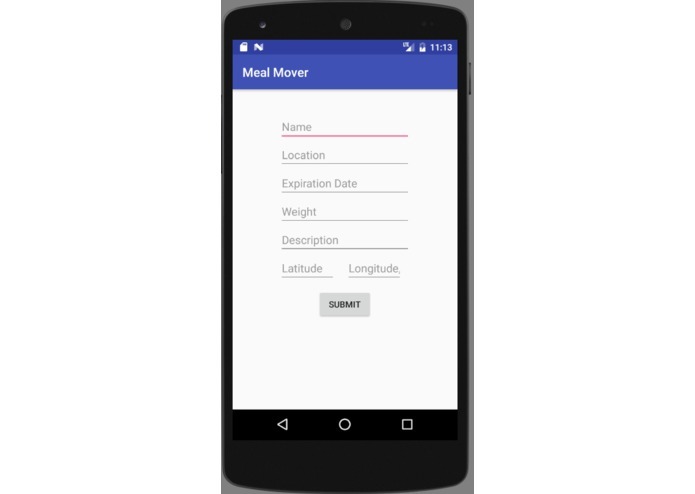 The users of the software can then view each location where the extra food is listed in order to direct someone in need to the source of food. We built the entire project in Android Studio (Java). 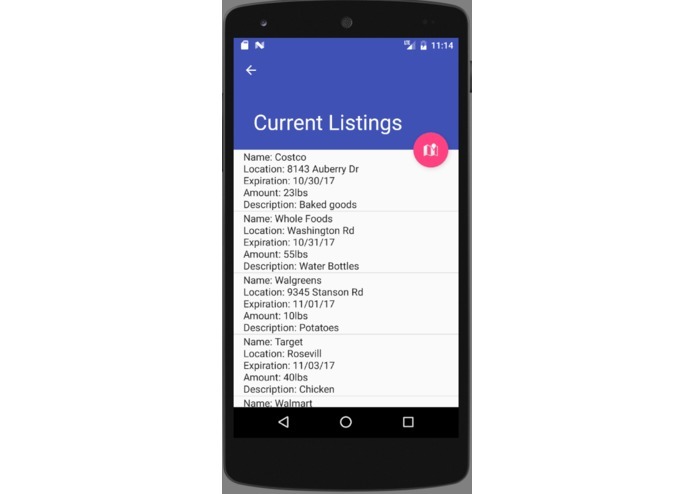 We used Firebase to store food locations/listings. We also used the Google Maps API to produce a map with vendor locations. One of our main goals was to include a volunteer screen, which would direct people who wanted to be more involved to drive extra food from vendors to food banks. We also wanted to include the smartcar API so that we would be able to track the number of miles driven (for use in tax deductions). Unfortunately, we could not successfully access the smartcar android SDK from our project. 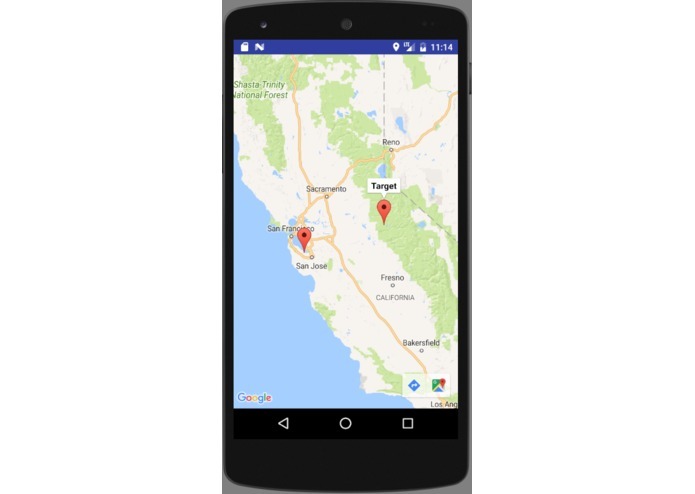 Additionally, since the team was fairly inexperienced in Android app development, we had some frustration in figuring out how to use the Google Maps API and Firebase within out project. We learned mostly about Android app development. Besides gaining experience in UI design, we also learned how to use Firebase to support our app's back-end. Additionally, we learned how to use the Google Maps API. In the future, we hope that we can implement the volunteer option into our app, allowing volunteer drivers to transport food to food banks. Android interface and Firebase backend.